The Shingashi River cherry blossom boat event is the third most popular post on my blog of all time. In the last week it has had thousands upon thousands of views (thank you) and not just from within Japan. It is the most globally read post on the blog. With that in mind, for those coming on a short term visit to Japan, I want to update on the status of the cherry blossom trees. I was at the famed sakura spot this morning, March 21st 2019. The cherry blossom trees are currently as bare as bare can be. 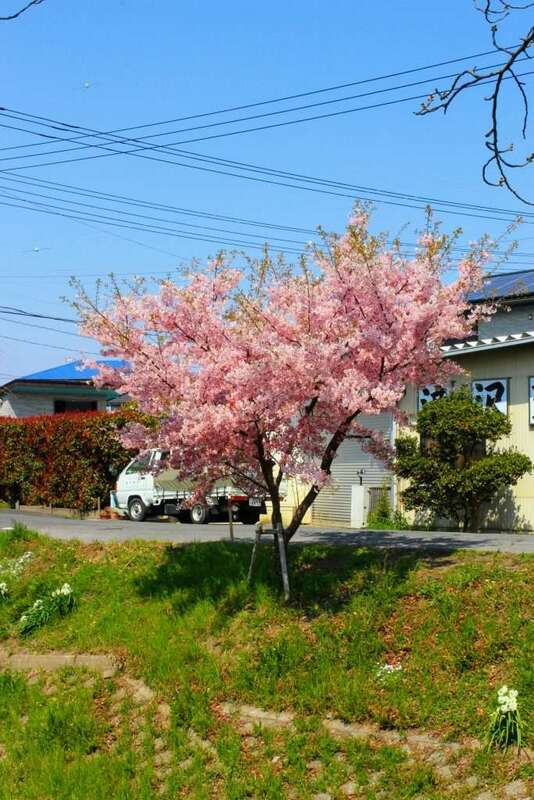 This in stark contrast to last year when the cherry blossoms were already blooming on the same date. When we pulled up at 9 am there were work men arriving at the side of the river. When we were leaving at 11.30 am they had put up all the festival lanterns along the main sakura section. We were in the area for the Hikawa Shrine which is one side of the river. And Dai Ni Parking for Hikawa Shrine is on the other side. The Hikawa Shrine is a small, but very beautiful sanctuary with various instagrammable attractions. We were there for a moving randoseru blessing a friend had booked for a group of us last month. It is one of several special ceremonies that Hikawa Shrine is noted for. 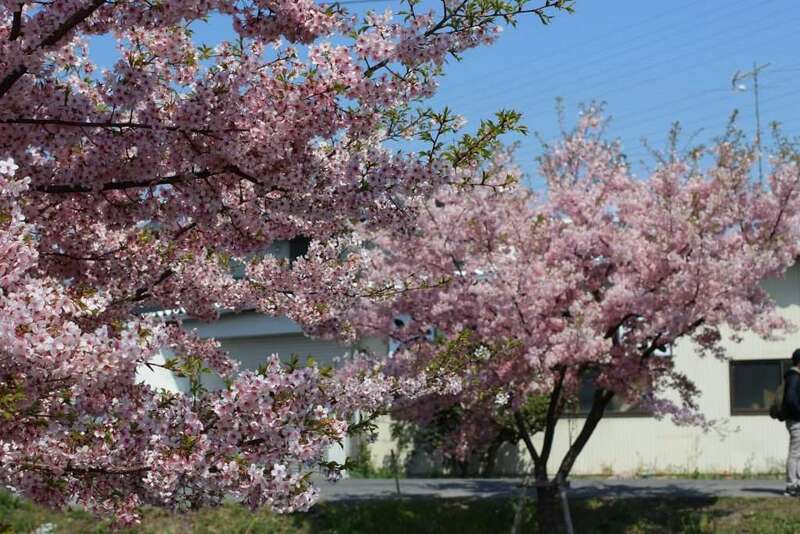 Good news for anyone visiting Kawagoe or Hikawa Shrine over the next couple of days is that there are two cherry blossoms trees further down the river that are in full bloom. And they are stunning. These trees are over the main road the runs by Hikawa Shrine. If you walk with Hikawa shrine on your right you will see them on the other side of the road. looks like a nice boat ride! Really popular with people from overseas, it seems there are quite a few coming just for the boat ride. I hope they aren’t disappointed! !